The 2017–2018 school year has been full of achievements within the School of Communication (SoC). 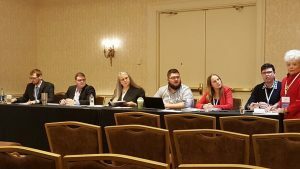 SoC students, both current and alumni, have demonstrated amazing work ethic and undeniable talents that have propelled them into the spotlight on and off campus. Presented here are some achievements of many SoC students throughout the year. 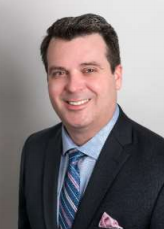 The U.S. Senate named Illinois State University alumnus Brendan Heffner ’88 Central District of Illinois’ next U.S. marshal on April 27. 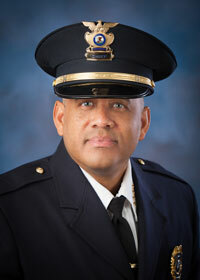 Before becoming Bloomington’s Chief of Police in 2013, Heffner received his B.S. with a major in mass communication from ISU. Senior journalism student Ema Sasic ’18 took home four awards during February’s International Compliance Professionals Association. 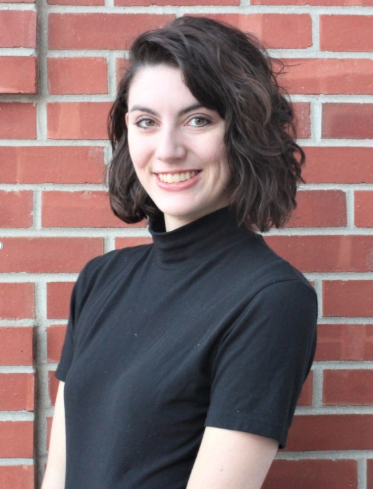 Sasic, editor-in-chief of The Vidette, was also a reporting intern for the Daily Herald in summer 2017. 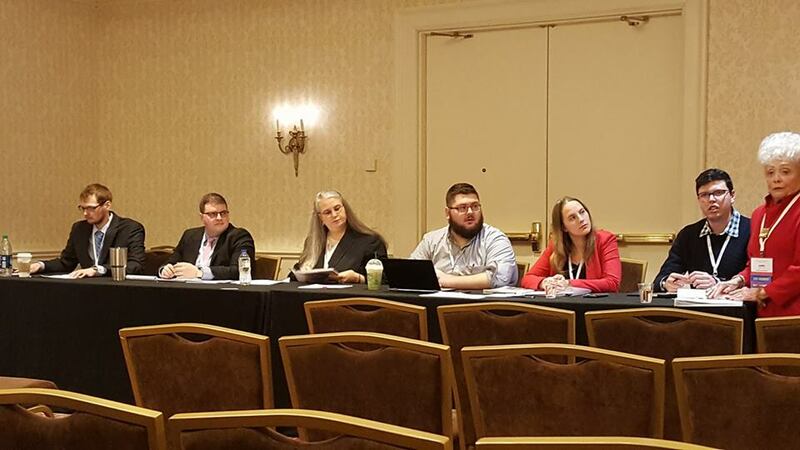 She is now a copy editor and page designer for the Bakersfield Californian in Bakersfield, Calif.
Illinois State SoC graduate students Nathan Brophy (far left), Alexander Ewers (third from right) and Leila Schmidt (second from right) presented at the 2018 Central States Communication Association conference. Each student received a top award in a student category for their academic papers. SoC alumnus Patrick C. Hughes ’96 received the Outstanding Graduate Alumni Achievement Award on April 19. Hughes is now Associate Vice Provost for University Programs and Student Success at Texas Tech University. 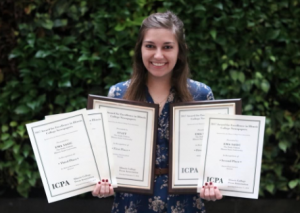 SoC senior Elizabeth Lynch received the Outstanding Public Relations Student Society of America (PRSSA) Senior award in April. Lynch got involved with PRSSA in 2016 and created the organization’s annual ugly sweater fundraising event. Lynch’s interest in fashion has landed her a job as an internal communication and marketing consultant for Bosch in Chicago. Lynch is graduating with honors in May 2018.